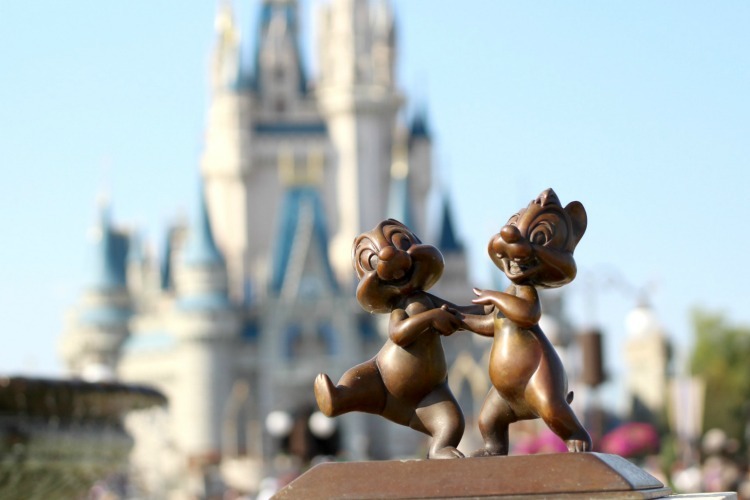 Planning a Walt Disney World vacation? 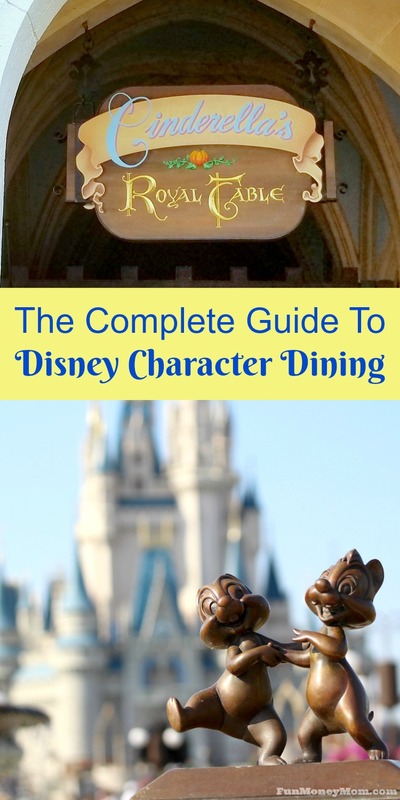 Character dining is one experience you don’t want to miss! But the choices can be overwhelming. 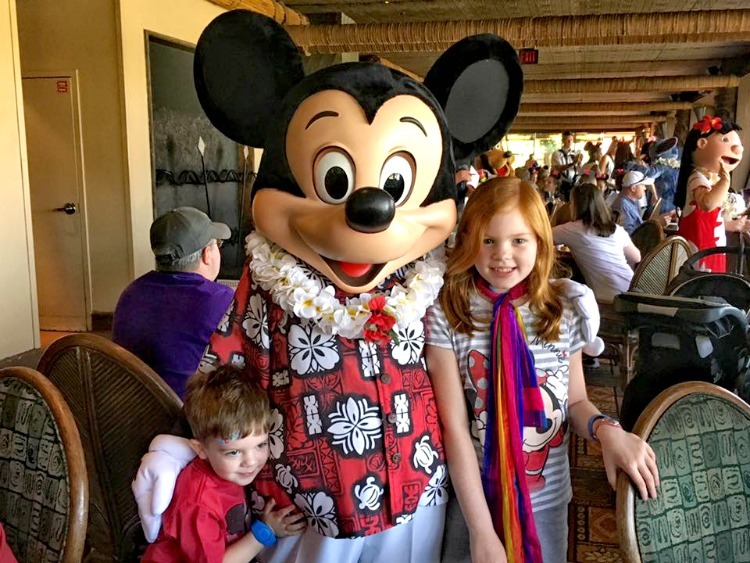 Do It All TravelingMom breaks it all down with prices, locations, availability and character choices to help you decide which Disney character dining experience is best for your family. When we planned our first Walt Disney World vacation, character dining was at the top of our list. At four years old, my oldest daughter’s world revolved around the Disney princesses. I knew she’d be excited to eat breakfast with them at Cinderella’s Royal Table so I hopped on the phone to book a table. I don’t know what I was thinking because I quickly found out that this is one of the hottest tickets in town. Getting in wasn’t going to be quite that easy. It turns out, you need to make reservations at Cinderella’s Royal Table 180 days in advance. Unfortunately, we hadn’t book our trip that far ahead. They recommended that I keep trying because if I called at just the right time, I might just snag a cancellation. It pays to be persistent and after quite a few calls (I had Disney on speed dial), I managed to snag one of the most coveted dining reservations at Disney World. If you aren’t quite so lucky, or just don’t feel like spending that much time on the phone, there are plenty of other Disney character dining options to choose from. I’ve broken it all down by location, characters and price to help you pick the best option for your family vacation. Cinderella’s Royal Table: Located in Cinderella’s castle, Cinderella’s Royal Table is by far the most difficult to get into and the wait can be long, even with a reservation. Breakfast, lunch and dinner are served and prices range from $58-$73 for adults and $36-$43 for children. Character appearances include Cinderella, Snow White, Ariel, Aurora and sometime Jasmine. Be Our Guest: While it’s best to make a reservation, you can occasionally get lucky and walk right in to this Fantasyland restaurant. I haven’t had a chance to dine here yet but I’ve heard that the cupcake with the grey stuff truly is delicious! Keep your eyes open for Beast as he greets the dinner guests (you won’t see him at breakfast or lunch). Prices here range from $21.99-$35 for adults and $6.99-$13.99 per child. The Crystal Palace: This is a great place to bring the toddler who loves Winnie The Pooh, Tigger, Eeyore and Piglet. Serving breakfast, lunch and dinner, prices range from$27-$42 per adult and $15-$20 per child. You could get lucky with a walk-up but reservations are recommended. 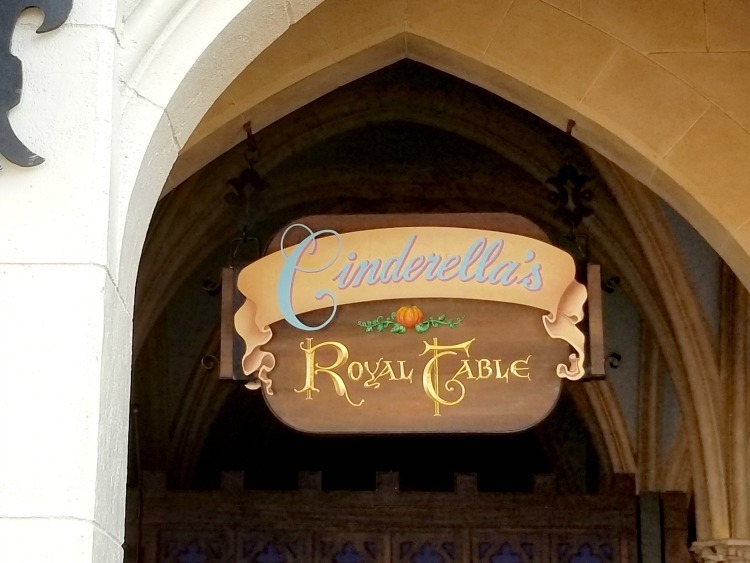 Akershus Royal Banquet Hall: If you can’t get a reservation at Cinderella’s Royal Table, the Akershus is your best bet for dining with princesses. While it can still be difficult to reserve a table here, I’ve found that it’s easier to find a cancellation. Located in Norway near the Frozen attraction, The Akershus Royal Banquet Hall is open for breakfast, lunch and dinner. Prices range from $44-$50 per adult and $27-$30 per child. Reservations are highly recommended. TravelingMOM Tip: We’ve dined at Cinderella’s Royal Table for breakfast and the Akershus for lunch and I highly recommend the latter. Though our lunch wasn’t cheap, we were impressed with the food and would definitely eat here again. Plus, it was nice to take a break midday and enjoy a little down time with Ariel, Aurora, Belle, Cinderella and Snow White. 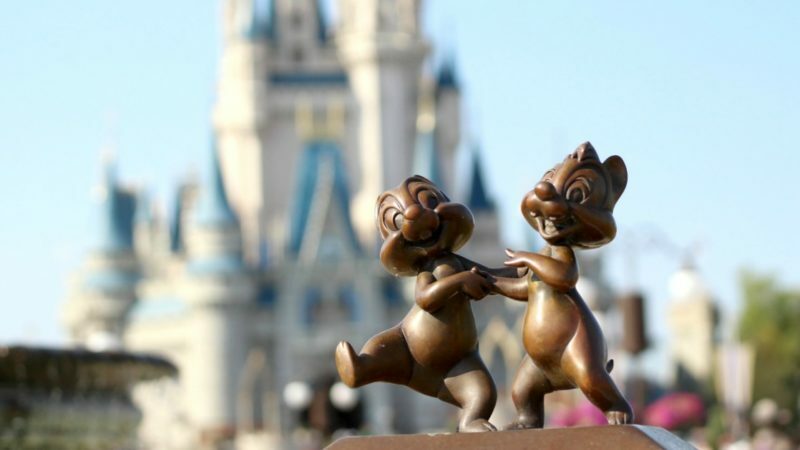 The Garden Grill: Want to dine with Mickey Mouse, Pluto and Chip & Dale? You can meet them at The Garden Grill, located in the Future World section of Epcot. Lunch and dinner prices range from $40-45 for adults and $25-$27 for children. Reservations are accepted for this buffet style restaurant. Hollywood & Vine: This experience is perfect for the younger Disney Jr. crowd. 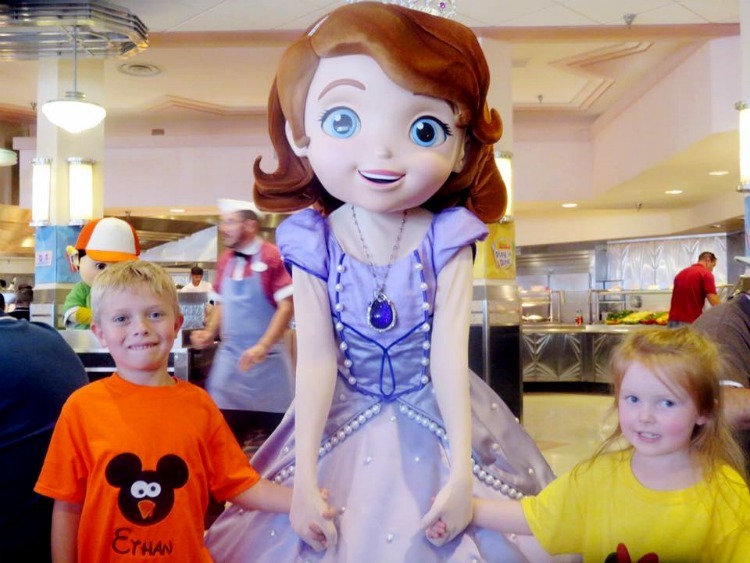 Bring the little ones to breakfast and they can meet Sofia The First, Doc McStuffins, Jake and Handy Manny. Plan lunch instead if you’d like to meet Mickey Mouse, Minnie Mouse, Daisy Duck and Goofy. Located near Echo Lake, prices range from $32-$50 for adults and $20-$30 for children. Tusker House: Meet Mickey Mouse, Donald Duck, Daisy Duck and Goofy at this table service restaurant in Africa. Serving breakfast, lunch and dinner, prices range from $30-$42 per adult and $18-25 per child. This restaurant may be a little easier to get into, but it’s always a good idea to make reservations if you know in advance that you want to dine there. 1900 Park Fare (Grand Floridian): Enjoy breakfast with Mary Poppins, Alice In Wonderland, The Mad Hatter, Tigger and Winnie The Pooh. Dine here for dinner to meet Cinderella, Prince Charming, Lady Tremaine, Drizella and Anastasia. Prices range from $32-$45 per adult and $20-$27 per child. The Grand Floridian is just one stop away from the Magic Kingdom via monorail. ‘Ohana (Polynesian Village Resort): ‘Ohana is the only place where your little ones can dine with Lilo & Stitch. Mickey Mouse and Pluto will join you as well. Character dining is breakfast only and prices are $34 for adults and $20 for children. This experience can be difficult to get into and you’ll want to make reservations well in advance. The Polynesian is just a monorail or water taxi ride away from the Magic Kingdom. Chef Mickey’s (Contemporary Resort): Dine with Mickey Mouse, Minnie Mouse, Donald Duck, Goofy and Pluto at the Contemporary. Serving breakfast, lunch or dinner, prices range from $41-$50 per adult and $25-$30 per child. After your meal, you can hop on the monorail or take a short walk to the Magic Kingdom. Mickey’s Backyard BBQ (Fort Wilderness): Meet Mickey Mouse, Minnie Mouse, Goofy and Chip & Dale at this music-filled hoedown. This dinner only BBQ is all-you-can-eat and beer and wine are included for the 21+ crowd. You’ll need to prepay for this experience and prices vary according to where you sit. Prices for ages 10+ range from $62-$72 and children under 10 are $37-$47. This is a seasonal event so check ahead of time to be sure it’s available during your visit. Cape May Cafe (Beach Club Resort): This character dining experience is for breakfast only. Your little ones will get the chance to meet Minnie Mouse, Donald Duck and Goofy in their beachy best. We’ve experienced the character dining here and thoroughly enjoyed it. Breakfast prices are $36 for adults and $26 for children. After breakfast, you can walk to Epcot or hop aboard a boat to Hollywood Studios. Trattoria Al Forno (Disney’s Boardwalk): This is the newest Disney character dining experience so you’ll probably need to make a reservation. Have breakfast with Rapunzel, Flynn Rider, Ariel and Prince Eric for $34 per adult and $20 per child. Like Cape May Cafe, it’s just a short walk from Epcot or a boat ride to Hollywood Studios. 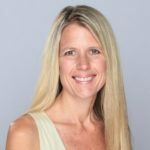 TravelingMOM Tip: While it’s always best to make reservations ahead of time, don’t be afraid to try walking up that day. I’ve heard plenty of stories about people getting tables due to last minute cancellations so it’s always worth a try. Do you think families who return year after year do a different character meal each time?